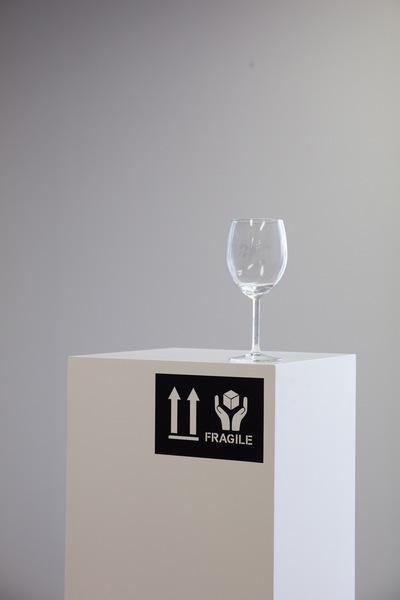 'Handle Withe Care', 2013, Wine glass and vinyl. 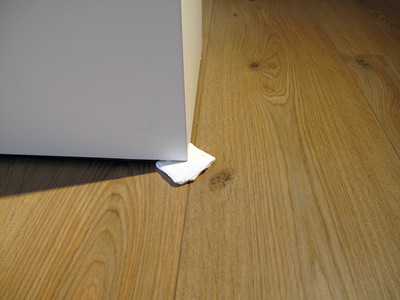 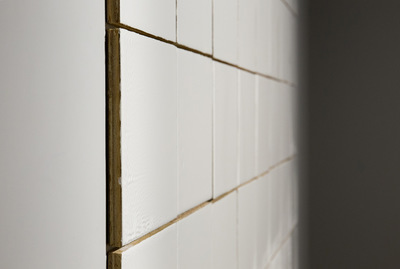 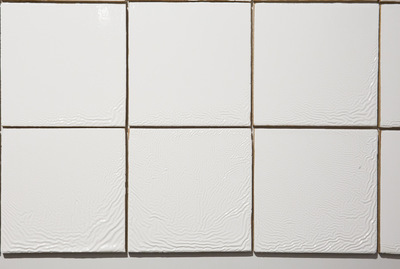 'Soft White', 2013, Paint on wood panels. 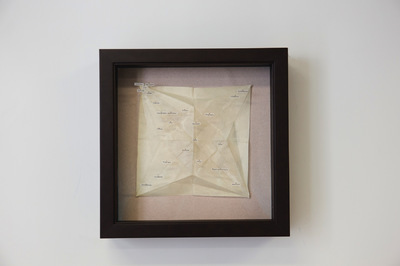 'Dead Bird', 2013, paper, text and specimen pins. 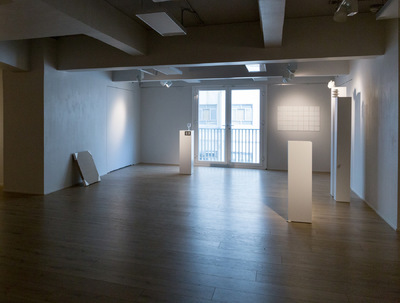 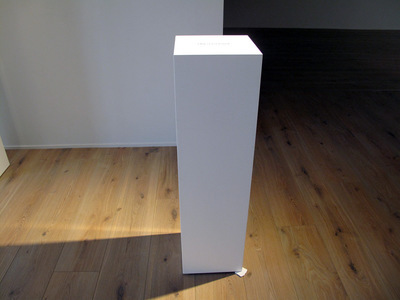 'Object not found', 2013, porcelain, text. 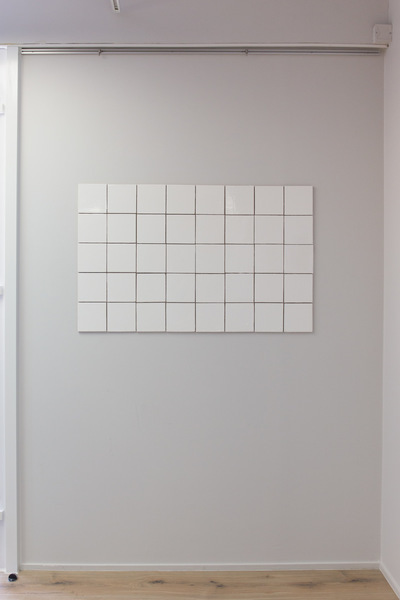 'Object not found', 2013, porcelain. 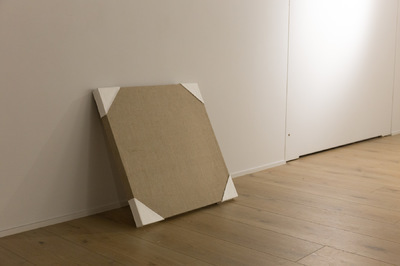 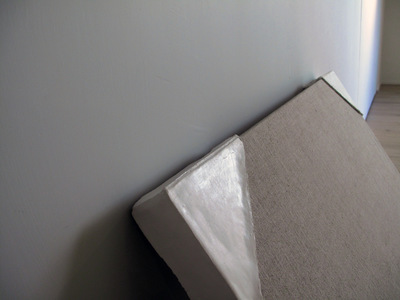 'Acrylic on canvas', 2013, acrylic casting on linen mount.